On this week's lunch break, the guys review Sony's new film "Venom". They also talk about the film "Blade" and Matt recounts his Hoodie Allen concert experience. 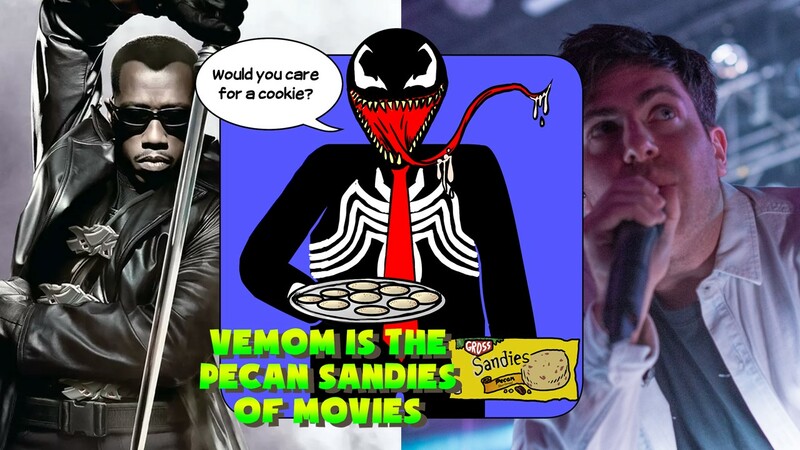 Other topics include clogged toilets, cannibalism, Wesley Snipes acting, Doom, Tom Hardy, and they question the sanity of anyone who enjoys Pecan Sandies. Enjoy!